We are especially interested in making all our patients feel right at home! We put your needs first to achieve efficient and comprehensive treatment. Our staff is trained and skilled, and we strive to provide energetic and fun-loving service to each patient. 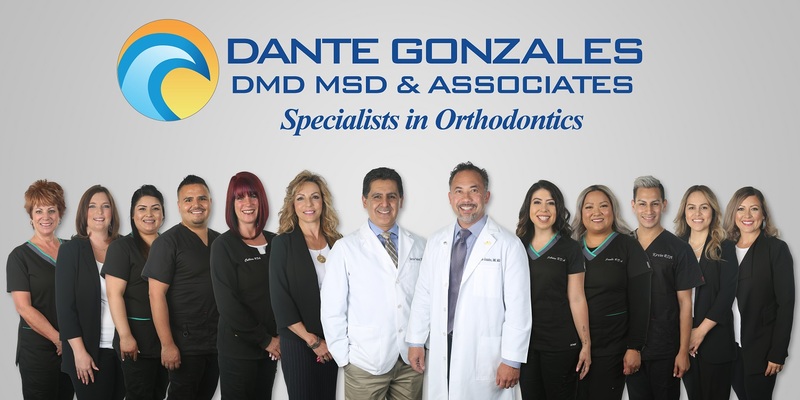 Each member of our treatment team is a registered dental assistant, and our office staff has years of experience in treating patients with the highest level of care. We strive to stay abreast of the latest in technological advances by regularly attending continuing education courses and seminars. Diana has been in the dental field for over 20 years. Her attention to detail and years of administrative experience aids her in acquainting new patients with our practice while building a positive orthodontic experience. She and her family have been active members of the community for over 35 years. 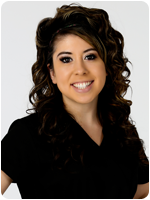 Jovana lives in Fremont and has been in the dental field for over 10 years. Javona will most likely be the first voice you hear when calling our office. 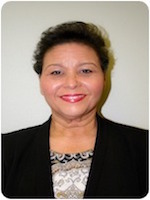 Javona is a very pleasant addition to our office and is always happy to help you with any questions you may have. Lisa has been in the dental field for almost 20 years. 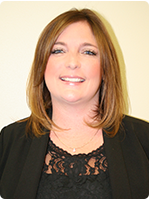 After working in the back office as an RDA for 10 years, she transitioned to the front office. When she’s not at work, Lisa loves spending quality time with her family. 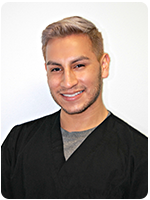 Leo has been a Registered Dental Assistant for over 10 years. When he’s not providing attentive orthodontic care, he likes to spend most of his free time with family and friends. 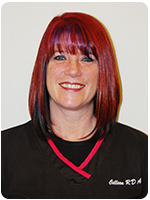 Colleen has enjoyed her career as a Registered Dental Assistant in Orthodontics for over 27 years. She completed her assisting program at the College of Alameda. She has experience working with patients of all ages. With Colleen’s dental knowledge, she is bound to have the answers to any of your questions. 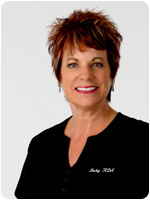 Becky has enjoyed being a Registered Dental Assistant for over 25 years. She enjoys working with patients of all ages. When Becky is not working, she enjoys singing in the Valley Concert Chorale. 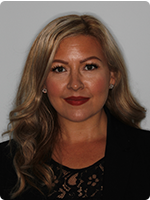 She has been working for Dr. Gonzales since she graduated from Carrington California. She also attended Chabot College to finish her AA degree. Sabrina really enjoys learning about the newest orthodontic technologies and bonding with her patients. She likes to listen and really get to know her patients while also making their experience enjoyable. In her free time, she coaches cheerleading, watches sports, and enjoys traveling. 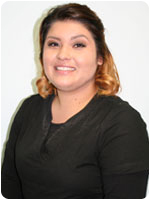 Cynthia is the newest member of our Dublin orthodontics office, and thanks to her bilingual skill, she has enriched our office’s communication with our patients. She is recent graduate of Carrington College and is currently attending Merritt College with the hopes of attaining her AA in Health Science. She is an Oakland native and fan of the Oakland A’s and Oakland Raiders. In her free time, she enjoys knitting, scrapbooking, camping, hiking, going on road trips, spending time with her family, and watching her favorite television shows. 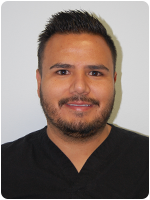 Kevin is a Bay Area native with over 13 years of experience in the orthodontic field as an RDA. He loves being a part of changing patients lives through their smiles. Good customer service and patient care are Kevin’s passion. 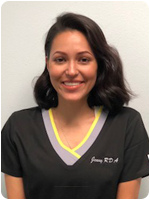 Jenny is a Registered Dental Assistant with over 8 years of experience. She enjoys working with patients of all ages. When Jenny is not in the office she enjoys spending time with her family. Christine is the newest member to our team. 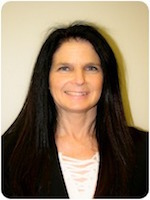 Christine has worked in the dentistry field for over 20 years. Christine started out as a RDA then moved to front office. She enjoys dentistry because it’s something that changes people’s lives for good. Michele has worked in dental for 6 years and customer service for 30 years. Michele enjoys spending time with her husband, two children, and two Newfoundland dogs. Michele loves Disneyland and the Beach.